Vampire stories are derivative by nature. While the line might be a little wobbly, the distance between John Polidori's 1819 story "The Vampire" and HBO's TRUE BLOOD is not a great as we like to think. When you prune the decorative foliage from BUFFY THE VAMPIRE SLAYER, Anne Rice's "Interview with the Vampire," Marvel's "Tomb of Dracula" and DARK SHADOWS, you'll usually find the same tale of predatory romance lurking just beneath the surface. "A newly resurrected vampire attempts to adjust to the modern world while being torn between the hematologist who wants to cure her and her undead lover." It sounds a bit like a gender-swapped version of HOUSE OF DARK SHADOWS, doesn't it? 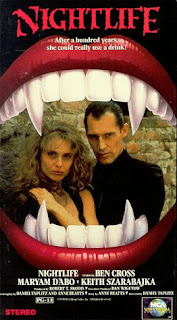 Curiously, the movie's anti-heroine (played by Maryam d'Abo) is named "Angelique." 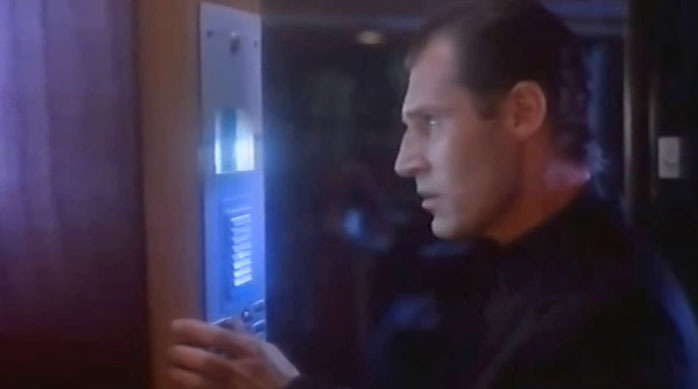 And her undead lover "Vlad" was played none other than Ben Cross ... who'd go on to play "Barnabas Collins" in the DARK SHADOWS revival just two years later. Some of these similarities are just matters of serendipity; others, I'm sure, are by design. You can probably figure out which is which. 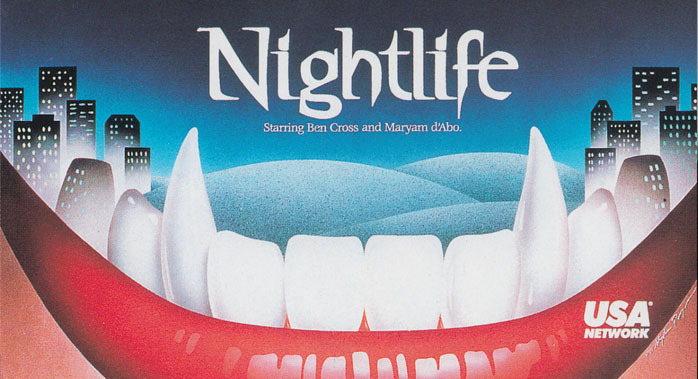 If you're curious about NIGHTLIFE, there's a pirated version of the film currently streaming on YouTube. Embedding has been disabled on the video, but you can find the entire film HERE.